Five deluxe double bedrooms with shower located between each pair of bedrooms. Vanity and sink located in all bedrooms. 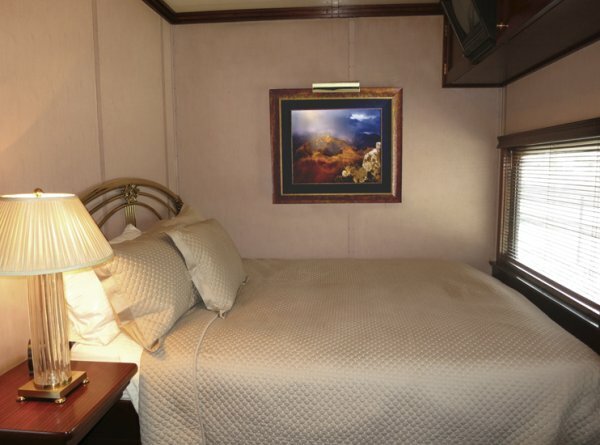 Grand Canyon master suite features queen size bed, T.V., large bathroom and shower. 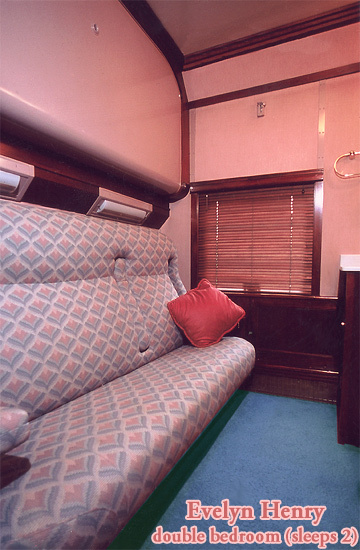 An excellent executive sleeper with 24-hour laundry service, plush carpeting and upholstery with new upgrades in 2013 including a new paint scheme. Built in 1954 for the Union Pacific and sold to Amtrak in 1973. 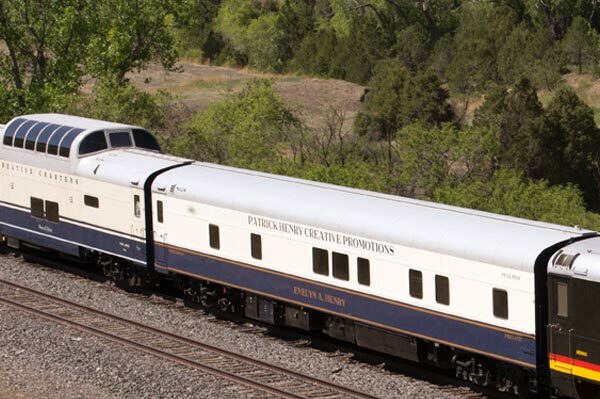 Purchased by Rail Ventures, Inc. in 2001 from the Wisconsin & Southern RR Co. and named Gallatin River. Purchased in 2004 by Creative Charters and renamed Evelyn A. Henry.